I did an an interview with sf-books.com where I discuss the origins of my Terrible Writing Advice YouTube series and I talk about my first book, Labyrinth. Check it out at the link below. 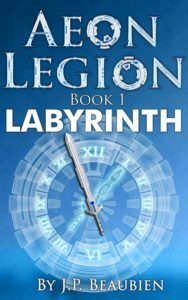 Aeon Legion Book I: Labyrinth is available on Amazon in print and kindle edition. Click the cover for more details.